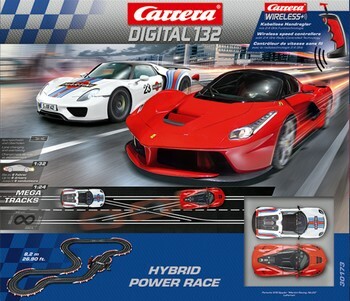 Set #30173 Hybrid Power Race featuring digital LaFerrari and the Porsche 918. 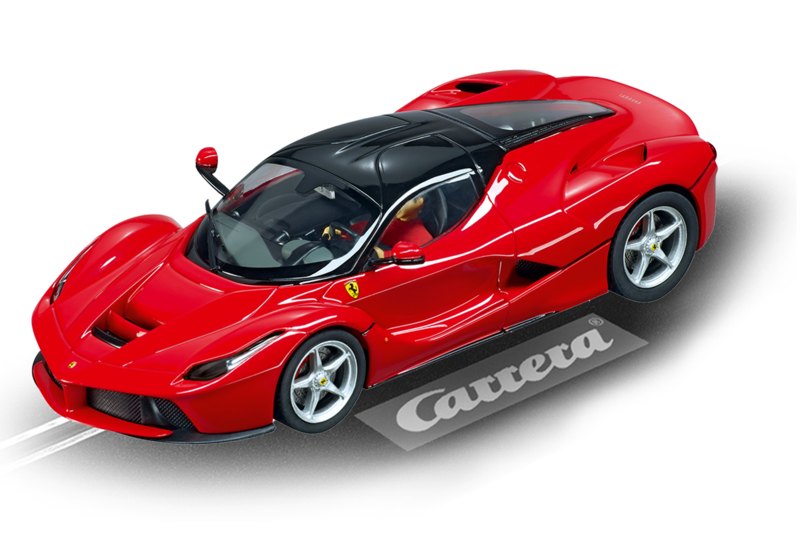 In addition to these two super cars this set features 2.4 GHz wireless controllers. Unlike older wireless sets, this one is NOT line of sight and the controllers will work almost anywhere within its 45 foot range. (Line of sight controllers must be in direct line of sight of the tower in order to work) Featuring almost 27 running feet of Carrera track this set sets up in 10 x 6 foot area. $482.99 and in stock. In addition both digital cars are available separately at $54.99 each. The Porsche is available in two liveries. These cars can be used in analog mode on any brand of analog track.